These eight natural pain killers will help you find relief without side effects. Herbs, relaxation techniques, and unique therapies can serve as effective natural pain killers to help you find relief from a variety of painful conditions. Learn about 8 of the best natural pain relievers below. There are a variety of plants that offer natural pain killers qualities. Devil’s claw is an excellent remedy for conditions like back pain and osteoarthritis. It may have even broader pain-relieving abilities than non-steroidal anti-inflammatory drugs (NSAIDS). Read more about Devil’s claw here. Feverfew is one of the most effective natural treatments for migraine pain. It is also effective in reducing joint and nerve pain. Researchers believe that its anti-inflammatory and other pain-relieving properties may make it an effective treatment for many types of pain. A homeopathic staple for pain treatment, arnica can help with sprains, strains, bruises, and osteoarthritis. [5-8] It can also help with pain after exercise as well as relieving pain after surgery. Read about the many uses of arnica here. Meditation and mindfulness. Mindfulness meditation, which focuses on awareness of the present moment, can reduce the way we perceive pain. In one study, only four days of training led to a 40% reduction in pain rating and a 57% reduction in pain-unpleasantness. 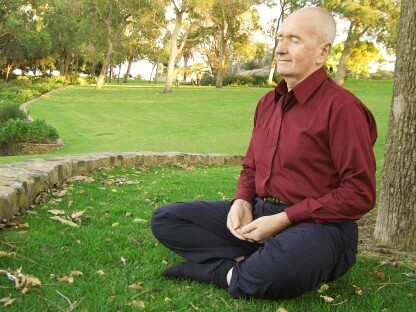 This kind of meditation can help you to control back pain, fibromyalgia, and migraines. Read more about meditation and mindfulness for pain control here. Cognitive behavioral therapy can benefit your health and well being in numerous ways. It is a therapeutic technique that helps you to identify negative thoughts, emotions, and behaviors and learn how to replace them with productive alternatives. Cognitive behavioral therapy is an effective treatment for chronic pain,[15,16] as you learn to respond less to your pain and live a life less controlled by your pain. Infrared sauna therapy is an effective non-drug treatment option for pain conditions ranging from fibromyalgia to rheumatoid arthritis. In this type of sauna, infrared energy is emitted, which allows the heat to penetrate your tissues deeply without you feeling too overheated. Ozone therapy uses ozone (O3) applied to the body. One of the many benefits of ozone therapy is natural pain relief. Find a doctor trained in the use of ozone therapy in the NHA Directory. If you’ve been suffering from pain, whether it is due to arthritis, migraines, or back pain, its time to get started finding relief today. Try out some of the herbal remedies listed above, and combine those with mind-body therapies that can help you gain control over your pain. Make sure to be getting good, regular sleep, which will also help in decreasing your pain levels. If you still don’t find relief, try infrared or ozone therapy treatments. How do you manage pain naturally? Have you had success with herbal treatments as natural pain killers? What about meditation or cognitive behavioral therapy? Please share your thoughts in the comments section below. Altern Med Rev. 2008 Sep;13(3):248-52. Holist Nurs Pract. 2007 Jul-Aug;21(4):203-7. Neurol Sci. 2014 May;35 Suppl 1:135-40. Am J Health Syst Pharm. 2007 Dec 1;64(23):2434-43. Eur J Sport Sci. 2014;14(3):294-300. Mol Pain. 2015 Apr 22;11:22. Nat Rev Neurol. 2014 Mar;10(3):167-78. Neurosci Lett. 2012 Jun 29;520(2):165-73. Sleep Med Clin. 2014 Jun 1;9(2):261-274. Spine (Phila Pa 1976). 2002 Nov 15;27(22):2564-73.
anti inflammatory, anti inflammatory drugs, arthritis, back pain, brain, chronic pain, cognitive behavioral therapy, diabetic, diabetic neuropathy, exercise, feverfew, fibromyalgia, find a doctor, for pain relief, health, herbal remedies, herbal treatments, herbs for, homeopathic, infrared sauna therapy, manage pain, meditation, meditation and mindfulness, migraine, migraine pain, migraines, mindfulness, Natural pain killers, natural pain relief, natural treatments, natural treatments for, nerve pain, neuropathic pain, non steroidal anti inflammatory drugs, nsaids, osteoarthritis, osteoarthritis pain, pain, pain after surgery, pain killers, pain relief, pain relievers, pain tolerance, pain treatment, relaxation techniques, rheumatoid, rheumatoid arthritis, sleep.